Yet, in most contexts, people coming in from other countries and buying half a million dollars worth of real estate is a substantial purchase, particularly for someone not permitted to work, yet living in the US for at least six months out of the year. It could be considered bad form to have independently wealthy foreigners move into a neighborhood while people in some surrounding homes are struggling to keep their own houses. 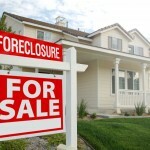 Worse yet, investors are snapping up foreclosures at record pace. Is it really beneficial to have many rental properties held in the name of absentee owners with no concern for fellow citizens? As an American who loves his country, I did not feel comfortable when the Japanese bought Rockefeller Center. Chinese are buying up American real estate. Americans are loosing their homes and businesses. This just seems to be adding insult, from our government even, to injury. Perhaps there is nothing we can do about this while the current regime is in power, but our country is being bought up by foreigners one building at a time. This proposal idea will only aggravate the situation. Sure we need to do something. Selling our country just doesn’t seem to be the answer. Perhaps it’s the answer we need, yet, giving our country away just doesn’t seem to be the way to go. Our government is mortgaging our childrens’ future. Overseas investors are already buying up our real estate. Private sector incomes are dropping while average government incomes are rising. It just seems that the average citizen is being left behind to serve the elites, foreign and domestic. Is this the path we really want to take? Selling visas, not to mention the American People,to the highest bidder from a foreign country who may, or may not share our American values, is wrong on so many levels, it’s hard to even know where to begin! Thus completing the circle. Kick us out of our homes due to foreclosure and replacing us with with foreigners. You have to admit it is diabolical.